Commercial vehicles, such as semi-trucks play an integral role in interstate commerce. Unfortunately, their large size, which enables them to transport large cargoes, also makes them extremely dangerous to others on the road. Any collision between a standard-sized passenger vehicle and a semi-truck is dangerous, as the latter can weigh as much as 80,000 pounds and often carry hazardous cargo. However, certain types of collisions are notorious for being especially dangerous. Side underride collisions, for instance, in which an average sized vehicle strikes the side of a large truck and then becomes lodged underneath it, tend to have particularly, and often deadly, consequences. 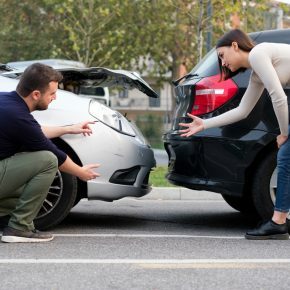 When someone else’s negligence causes this type of accident, the injured parties can and should seek compensation from the at-fault individual or entity. Unfortunately, filing a claim can be difficult, as there are often multiple parties involved in this kind of collision, so if you were injured in an underride crash, it is critical to speak with an experienced truck accident lawyer who can ensure that your claim is filed on time and against the appropriate individuals. Although passenger vehicles come with safety devices, like seat belts and airbags, that can help prevent serious injury, these kinds of safety measures are not always effective, especially in catastrophic collisions, such as underride crashes, where the top of the smaller vehicle is often sheared completely off. These kinds of crashes are extremely dangerous and often result in death. In fact, government statistics reveal that as many as 301 people lost their lives in side underride crashes in 2015 alone. Some experts believe that equipping trucks with side guards could deflect passenger vehicles and so prevent serious injury. These types of guards have proved effective on the rear portions of trucks, but have not yet been required along the sides. Tests conducted by the Insurance Institute for Highway Safety even revealed that aftermarket devices attached to the side of a semi-truck could prevent a mid-size passenger car from sliding beneath a large commercial truck in a 40 mph crash. Three U.S. cities actually require city-owned trucks to be equipped with lighter-weight versions of these guards, which do not prevent collisions with smaller vehicles, but do prevent underride accidents with cyclists and pedestrians. 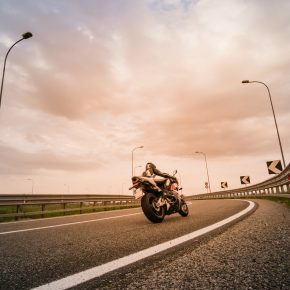 Until these types of measures are officially put in place, drivers are at risk of involvement in underride crashes, which can cause catastrophic injuries, such as head trauma, spinal cord damage, burns, and organ damage. Treating these types of injuries is expensive, making it especially important for those who are injured in accidents to speak with a dedicated legal team who can help them seek compensation for their medical expenses, lost wages, property damage, and pain and suffering. Please call Lafferty, Gallagher & Scott, LLC at 419-241-5500 to set up your own free case evaluation with an experienced and compassionate Ohio truck accident attorney who can explain your legal options.